6 Steps to Implementing Blended Learning (Plus Free Resources)! 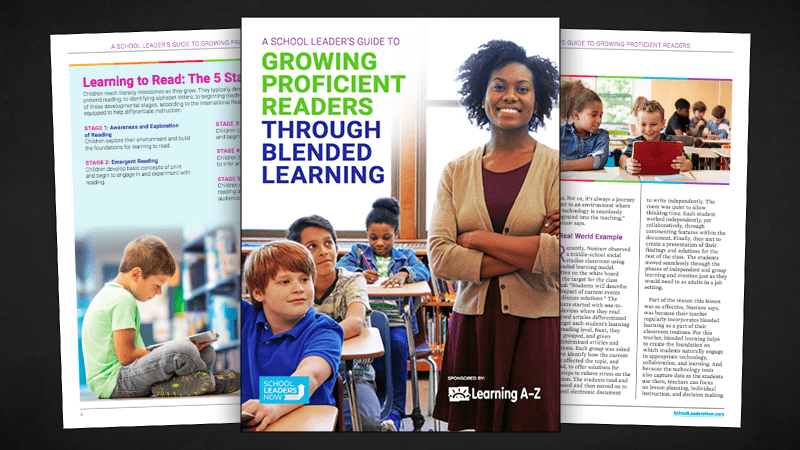 Download this free guide to implement blended learning and help your students succeed in the classroom and beyond. Want to know even more about differentiating instruction through blended learning? Let Learning A-Z help you reach that blended learning experience. Blended learning helps create an environment in which students naturally engage in technology, collaboration, and learning. And because the technology tools also capture data as the students use them, teachers can focus on lesson planning, individual instruction, and decision making. If you are looking for a way to help your students gain the skills they’ll need for success in the classroom and beyond, you’ll want this free guide of blended learning resources for your school. Get the blended learning resources guide today to get all of this and more! Yes! Please send me more information from Learning A-Z.